Rule is an advanced newsletter solution that gives you full freedom to create newsletters quickly and smoothly. Simply insert texts, drag and drop images and links into a ready-made template and freely adjust all details. The tool suits everyone, whether you are a beginner or an expert, and want to encode everything yourself. We have many years of experience in email marketing and help you through every step of the way to a successful outcome. We offer fast support and are always available when you need help. A well-designed newsletter improves your outcome and ensures that it looks great no matter what mail client your recipients use. Clicks and conversions increase significantly when a newsletter is well designed and properly designed. We create the newsletter correct from the start. We build your own template for you according to your wishes and designs. Stylish, mobile and responsive so your newsletter looks great when the recipients read it on the mobile or tablet. Both large and small companies use Rule to create newsletters and streamline dialogue with their customers. Several well-known players have chosen Rule. 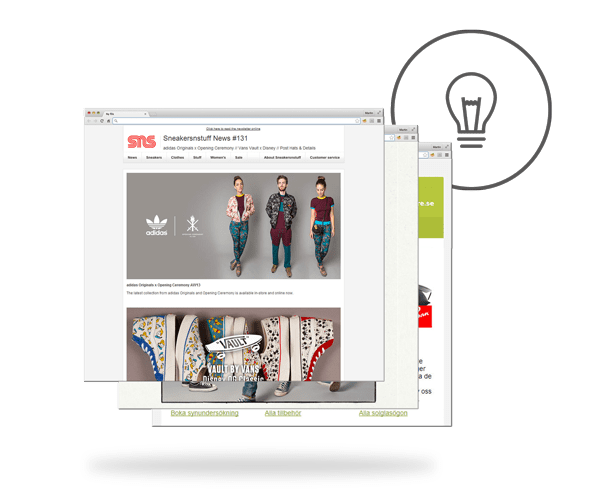 From companies in the fashion industry like Odd Molly to major e-commerce sites like Lekmer.se use our solutions to create newsletters and promotions. Let yourself be inspired by some examples of newsletters. Today, almost half of the recipients read their newsletter in a mobile device. Through responsive, mobile-adapted email, you can make sure your newsletter looks great – no matter what device it is read on. 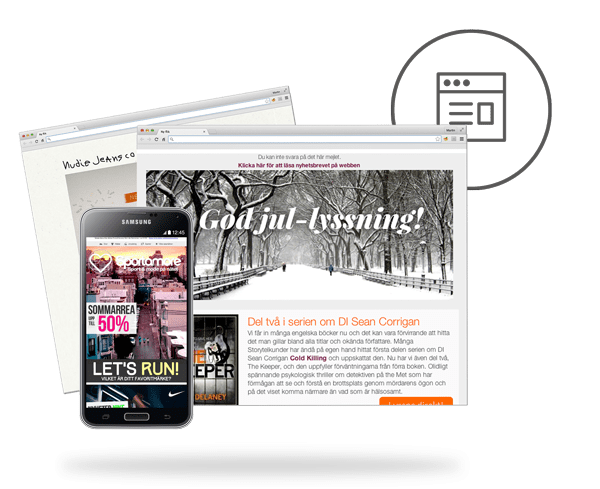 Responsive newsletters are posted so the layout is customized according to the platform and screen resolution that is being read.